Our rooms have an intimate and romantic atmosphere that is enhanced by a traditional ”dalamålning” on the wall and an antique wall cabinet containing a bottle of aquavit. 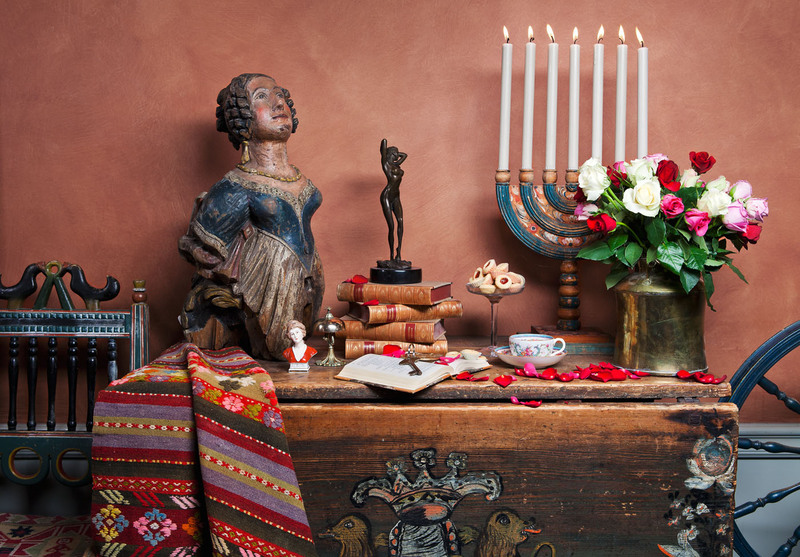 These are just a few examples of the Bengtsson family’s unique collection of antiques. 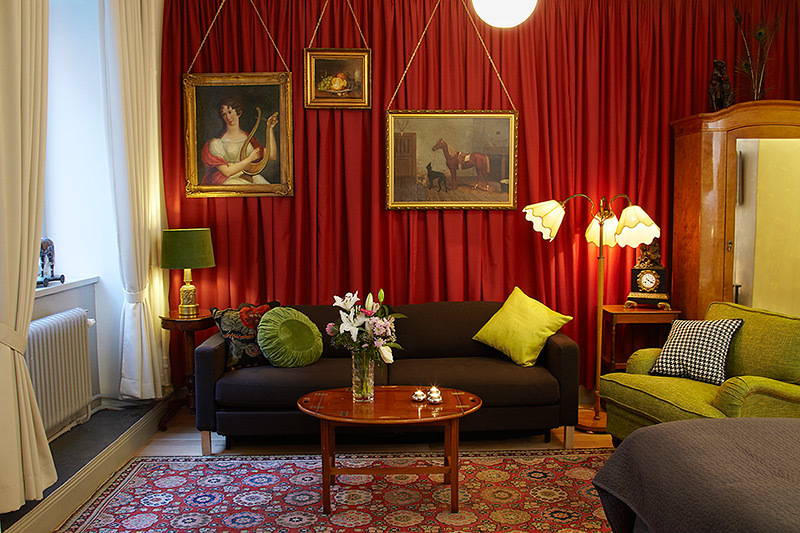 At Lady Hamilton Hotel you can either choose to stay in a comfartable single room, or in one of our cosy double rooms with a view of the roofs in the Old Town of Stockholm. Our beautiful apartments are located in the Old Town near the Lady Hamilton Hotel. All apartments are fully furnished, and have a kitchen with a dining area and a bathroom with a shower. 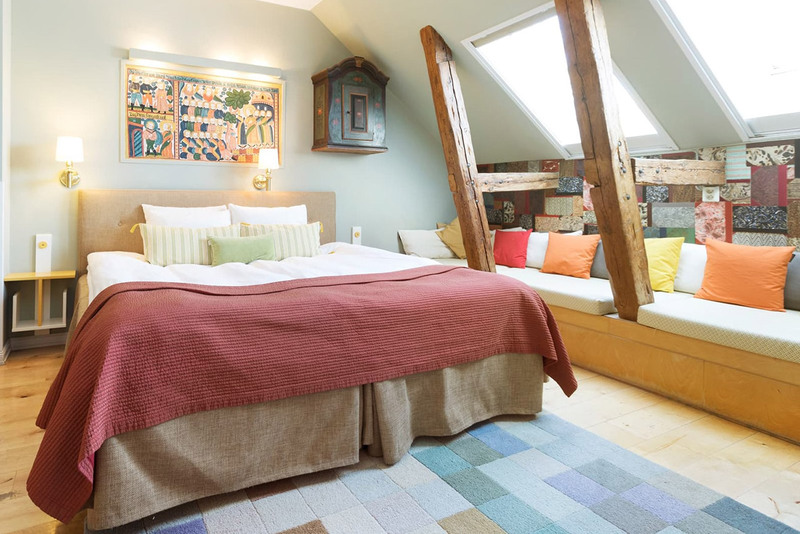 The apartments vary in size and style, and we have options both for you who need to stay in Stockholm for a longer period and for you who are planning for a comfartable visit in Stockholm with your family. Welcome to find your favorite apartment! Our feminine and romantic hotel is named after the mistress of the famous Lord Nelson, Lady Emma Hamilton. The listed building that is now the Lady Hamilton Hotel dates back to the 1470s, the time of Sten Sture the Elder. Lady Hamilton opened its doors in 1980 and has since been an integral part of life on Storkyrkobrinken in Old Town. The hotel combines Swedish folk style with countless maritime objects. You will find yourself surrounded by a unique collection of antiques from various provinces in Sweden, passionately collected over half a century by the owners, the Bengtsson family.